The Vancouver Island Rugby Referee Society (VIRRS) is pleased to introduce a new referee scholarship available in 2019 for students at UVic. The scholarship is the result of the hard work of Doug Tate, head coach for the UVic program, who contacted the VIRRS in November with the idea. In the initial year, the award will be $1,000 for a full-time UVic student who completes the Lvl 1 referee course and referees during the Spring High School Season starting in March, and hopefully beyond. The VIRRS and UVic are working on increasing it for future years to have a scholarship available each for one male and one female. Another award available through the VIRRS is the Keith Morrison Memorial Scholarship. Keith Morrison was a Vancouver Island referee in the 80-90s and eventually became an international referee, even being appointed to the 1991 Rugby World Cup. Upon retirement, Keith could be seen on the sideline coaching and supporting new referees to rise in the ranks. After Keith passed in 2014, the Morrison family made a generous donation towards creating a fund through the Canadian Rugby Foundation. The $1,000 award is available to any student planning on attending full-time post secondary school on Vancouver Island. Again, the condition is that the successful applicant will move through the approved World Rugby levels of formal referee certification, and be available to referee on Vancouver Island. On the weekend of Jan 24-27 seven BC referees from across the Province travelled to Sacramento to take part in one of the biggest High School tournaments in the West Coast. The event is designed to be a development opportunity for young players and young referees in North America. For the referees attending, there was certainly plenty of opportunities to get practice. The Friday consisted of a referee development session, consisting of six hours of skill building, including on-field sessions, classroom work, and referee coaching under some of the top referee coaches in the US and Canada. On the Saturday and Sunday the referees took to the field refereeing 2-3 30 minute games per day. When not refereeing they were holding a flag on the sidelines for their mates acting as Assistant Referees. 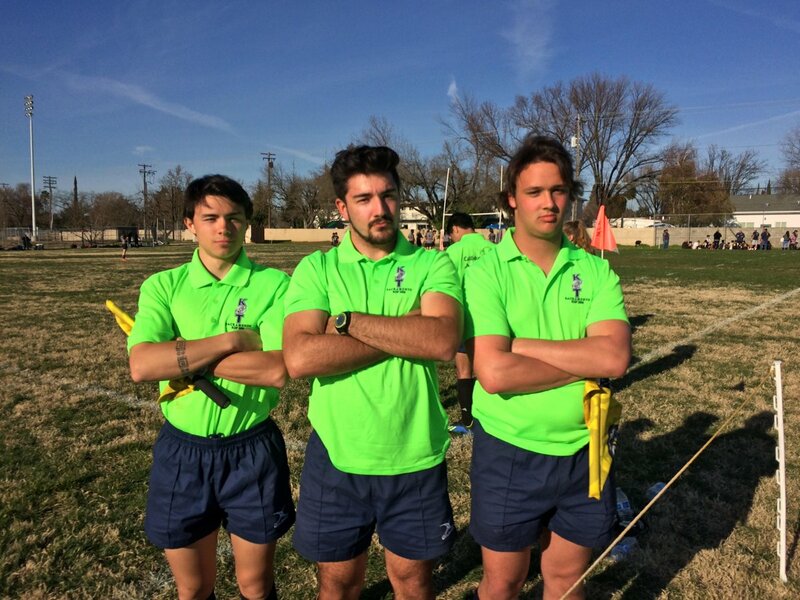 During the Friday USA Rugby also held a Coach of Match Officials (CMO) course. As a result, on the Saturday and Sunday almost every game had a referee coach on the sideline for support. Dave Pue from Vancouver also attended to help with the development course and referee coaching. Kevin Smith from Vancouver Island travelled down to get certification as a Coach of Match Officials, and also given the invitation to referee a varsity match between De La Salle and Granite Bay @ Cal State Maritime in San Francisco.